New Song! Depths of the Forest! Hi to those followers who read this! I've recently completed a song for a Art Exhibit that was held earlier this year in sweden, by Johan Enocson. I added it, once again under a CC-license - meaning that you are all welcome to use it in your own projects, download it from the "CC-License of the Month" box. In addition, I've recently had a few hardware and software upgrades, such as East West Hollywood Strings and Brass, both of which work very well - but I still prefer the grandness of Symphobia. In either case, for aspiring musicians - I'd go full out and buy Komplete 8 before any other library. Kontakt's Factory Library is so extensive you can make just about everything, as vienna orchestral samples, mixed with all of Native Instrument's sample packages goes extremely well together. Not to mention that you will need Kontakt for most major sample-libraries. 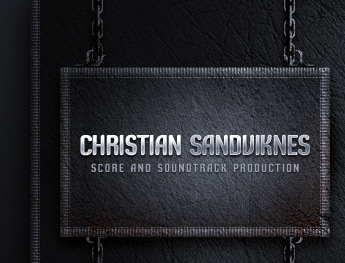 Anyhow, thank you for your patience - if you have any questions, comments, etc, just email me at Christian@Sandviknes.com - or ChristianSandviknes@gmail.com. Let the spam commence, truly yours - Chris. Will be announced, when the Store is operational. © 2011 - 2019 Christian Sandviknes. All rights reserved.